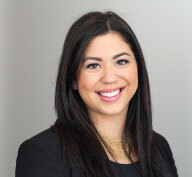 Elisa joined McTeigue in 2012 and is responsible for Advertising and Creative Photography at the firm. She studied Sociology and Advertising and holds a Graduate Gemologist (G.G.) diploma from the Gemological Institute of America (GIA). Elisa is also a member of the American Society of Jewelry Historians. Friendly and dedicated, Elisa has a natural talent for the valuation of diamonds and estate jewelry.